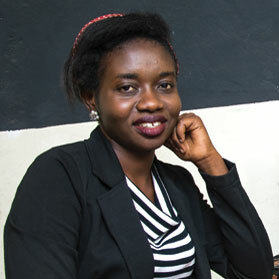 Eunice enjoys designing new clothes and loves the fact she is surrounded by people with the same passions. She feels skills give you social advantages so it is important to use them as much as you can so you can get better and better. She has these great skills and loves putting them to use. She is so happy to have been trained to do something she loves. She says sewing is in her blood. She gets a lot of satisfaction from getting her work done at Kenya Kanga. 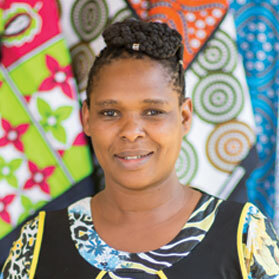 Jacinta started working with the Kenya Kanga team in 2014.Her desire for tailoring started long ago when she was still a kid. She often found herself hand stitching dolls and torn clothes. She is self-motivated since she does what she loves. She’s so thankful for the skill as she grows daily. She wanted to get into fashion and designing, she did a design course and started designing her own things but because of problems she didn’t have the money to start a business. 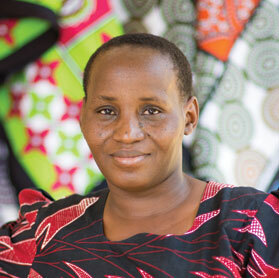 As she had a passion for clothes, she then started looking for a job in the field. She likes what she does now because she is creating new clothes. One day she will start her own business so it is really good experience. 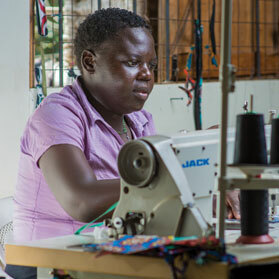 She likes tailoring because she can stitch anything from any material and make something beautiful. Marion is married with 2 children. She has a great passion for clothing, textiles and design. 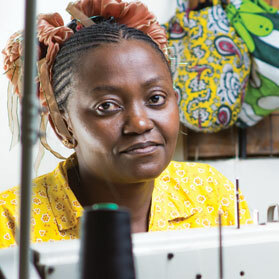 This led her to do a Bachelors of Science in Textiles at Kenyatta University. 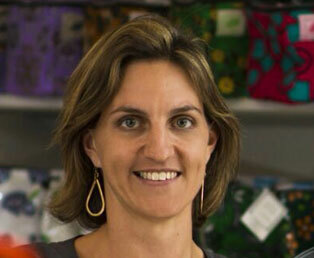 Marion started as an intern 11 years ago before being quickly snapped up and given a full time position at Kenya Kanga Collection. She is a vital part of the company and is known as the ‘Shosho’ of Kenya Kanga, the go to girl for the whole team. For her, the job is perfect as it combines her love of design and clothes. Mary loves all things fashion! She is really enjoying learning new techniques and creating clothes that people love. If you have the passion you have to go for it. Naomi was inspired by her mommy who was a tailor. 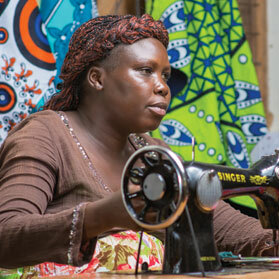 This drove her to do a tailoring course and started actualizing her career in 2007.Since then she has grown in her field of her specialization inspiring her own kids. She says every career is great as long as you do it from the heart. Its never easy but you going to make it someday. 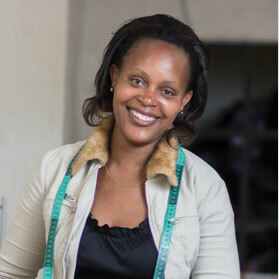 Enjoys working at Kenya Kanga because she has made many friends and enjoys the life in the workshop. Kenya kanga is really peaceful escape for Sofia. She loves the friends she has made there and enjoys the level of concentration required as it relaxes her mind. She has always loved to sew- even as a child. Loved sewing from a young age. Her friend heard about Kenya Kanga and told her to apply. She used to sew school uniforms for Primary schools. She is excited to be working but she aims high “do not be content with where you are, there is more”. 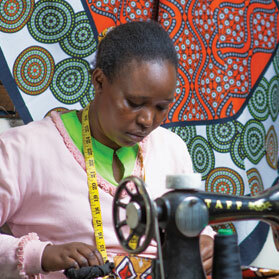 The circumstances changes with her previous employer so she was encouraged to apply for a job at Kenya Kanga. 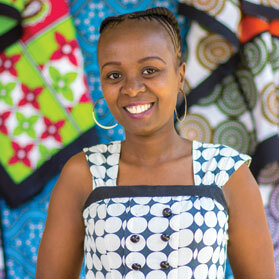 At Kenya Kanga she is surrounded by friend and loves the community that is built there. The work excites her.